Corvallis, OR — Join Block 15 Brewing throughout the first week of April for the debut of Oyster Week—a weeklong celebration of oysters hosted by Block 15 and Caves Bier & Kitchen. In addition to oyster themed food specials and events offered throughout the week, Block 15 will kick off Oyster Week with the release of their Oyster Baltic Porter— brewed with whole local oysters from Oregon Oyster Farm. 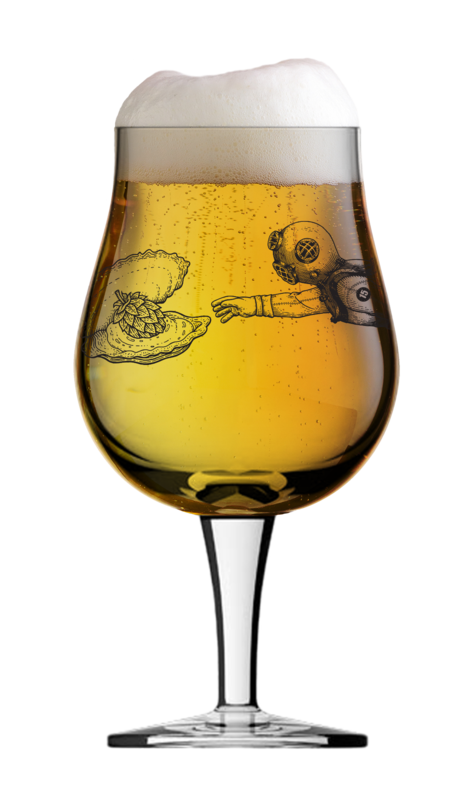 They will also release a pair of beers designed to pair with oysters at Oyster Week’s marquee event, Oyster & Beer Fest. What: Unique, thoughtfully prepared oyster specials made with a variety of oyster species. What: Two showings of ShellShocked, a documentary that explores the importance and fragility of wild oysters in cleaning water and building ecosystems for marine life. What: Learn about ocean acidification and its effect on oyster aquaculture in a presentation by EPA scientist Jim Markwiese. What: Enjoy a small selection of oyster beers on tap, selected by Caves’ beer curator. 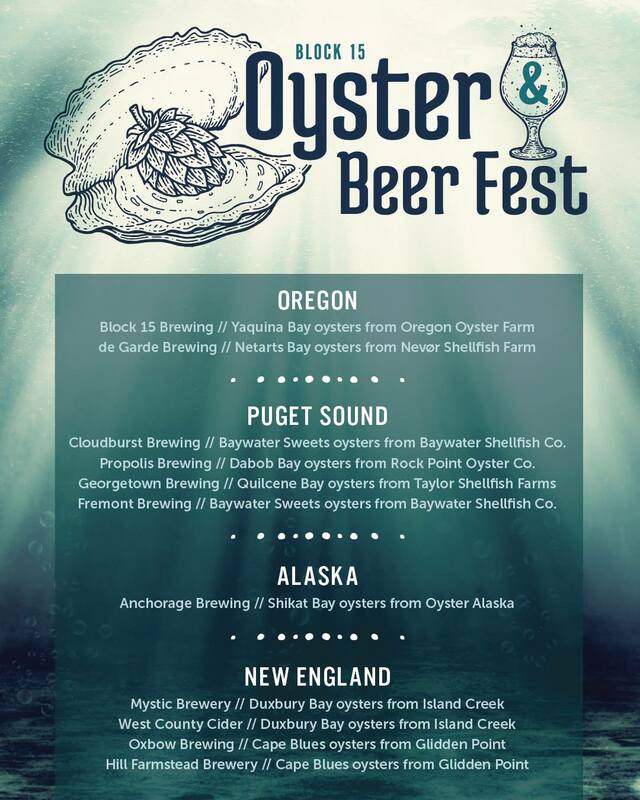 What: A showcase of unique oysters from coastal regions around the country, each paired with beer from standout breweries from the same region. Each oyster will be offered in a raw preparation that allows regions and species to demonstrate their unique character. Gary Rowles and Chuck Holst will also play live music at Oyster & Beer Fest from 5:30pm – 7:30pm. What: Caves’ famous weekend brunch, with the special Oyster Week additions of a raw oyster bar, unique oyster-themed brunch specials, and champagne pairings.